Summary (from Goodreads): As sixteen-year-old Aidan Donovan’s fractured family disintegrates around him, he searches for solace in a few bumps of Adderall, his father’s wet bar, and the attentions of his local priest, Father Greg—the only adult who actually listens to him. My Summary: Aiden is living in the midst of what some would describe as their worst nightmare. With his already unstable home life crumbling more and more every day, Aiden begins to self-medicate. However, the alcohol and drugs can't fill the hole inside his heart, so Aiden begins talking to Father Greg about the demons that haunt him. But when Father Greg's true motives for befriending Aiden are revealed, he attempts to escape the memories of what happened through a group of friends who offer more support than he's ever gotten from his family. And although he may try to hide it, Aiden can sense that Mark may know just what he went through... and together, they may just be able to help each other heal. My Thoughts: This novel was so hard to put down. The second I stopped reading, I was plagued with questions about what would happen to Aiden and had to pick it up and continue. Aiden was such a likable character, and you couldn't help but sympathize as you watched him struggle to navigate the obstacles he faced - those of growing up as well as those due to the situations he'd been put into. The writing was incredibly honest while also flowing like prose. I liked that you were placed right in the center of the plot right from the start - I was hooked within minutes. The topic of clerical abuse was dealt with very gracefully in this novel. The focus was not so much on the abuse or abuser but on the healing process, and how important support from loved ones is in getting on with your life - in my opinion, it was a great approach to dealing with a usually taboo subject. 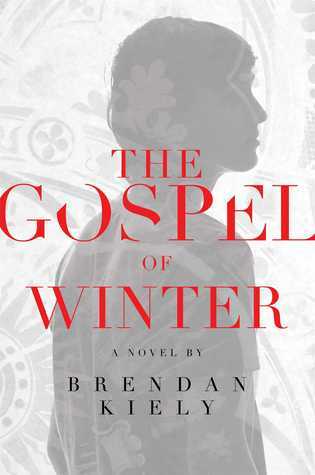 Final Thoughts: Definitely check out The Gospel of Winter if you're a fan of contemporary literature or are just looking for a novel that hits your heart in all the right places.